Welcome to what is the last edition of The Arabian Magazine in its current format! We are evolving into a true breeders’ magazine. 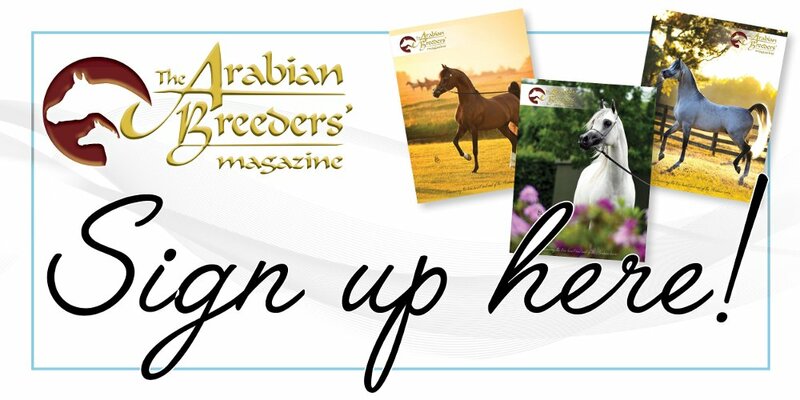 The first edition of The Arabian Breeders’ Magazine will be published this September, timed to be at the All Nations’ Cup in Aachen, as is usual. This magazine will be complemented by The Arabian Magazine Online, where all the news and results, as well as features and in-depth pieces, will appear in real time. We are all very excited by this move, and we hope that you are too. Over the coming weeks and months, we will be unveiling more about this new chapter in this publication’s history and we look forward to sharing that with you. Away from all the excitement in TAM Towers about these changes, the summer months have arrived here in the northern hemisphere – finally! And after all the heartache at the start of the year, June seems to have been the month where life settled down – at last. While all eyes are still on Poland, and our hearts are still with the families of those that we have lost this year, routine and pattern is slowly returning. New foals are arriving, often the realisation of many years of planning, and yearlings are stepping into the show-ring for the first time, making a different kind of dream come true. All through our lives, we aspire to move to the next level – to breed a foal that is an improvement on the dam; to compete, and then win, at our local shows, before we aim for the nationals and even international level; to breed a horse that we then back ourselves and ride, either around our local lanes or in the show-ring. Every step of the way, there is a new goal that we create for ourselves as we realise an existing one. And that is the way that we have to be – always looking to move on to the next step on our journey. This is the time of year that the National Championships begin to take place across Europe – with the British National Championships being held at the end of this month. Almost 1,100 horses have been entered to this show, and there spectators will be able to enjoy seeing horses compete in a range of disciplines. Once again, we will be there with our tradestand, and we look forward to seeing you and sharing further details about our future with you. We will also have The Arabian Magazine Calendar for sale for 2017; it is hard to believe, but we are halfway through the year now. Once again, I would like to thank all the photographers who have given their images so very generously to us, and all for a great cause, The Brooke – Action for Working Horses and Donkeys, formerly known as The Brooke Hospital. For now, however, it is time to enjoy all that July brings for our annual summer break. Claire, our Artistic Editor, is moving to a new country and I would like to wish her and her husband, Mark, the very best of luck on behalf of all the team with the move; don’t worry, she will still be working with us but it underlines how we truly do now live in a very virtual world. Meanwhile, don’t forget to visit The Arabian Magazine Online for all the latest news. We will see you at Malvern – come rain or shine!